VANCOUVER, BRITISH COLUMBIA--(Marketwire - Feb. 14, 2012) - International Northair Mines Ltd. (TSX VENTURE:INM) (the "Company" or "Northair") is pleased to report that two geologists and support personnel have commenced an extensive exploration program at its 50% owned Sierra Rosario silver and gold project, located in Sinaloa State, Mexico. 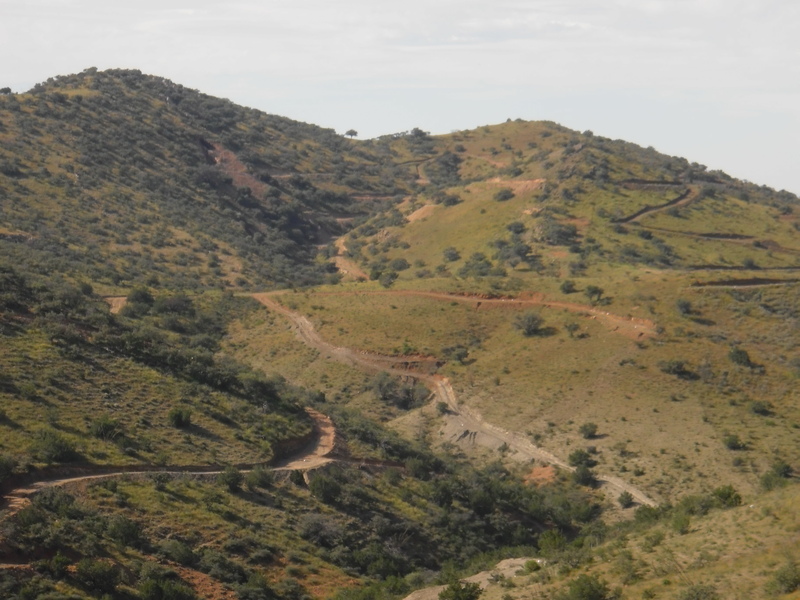 Northair, as Operator and with the support of its 50% partner, American Consolidated Minerals Ltd. will focus exploration efforts on the San Rafael Zone target and several other silver and gold prospects that have been identified on the property. Field work will include geological mapping, sampling and trenching. In addition a grid will be established as part of an IP geophysics program that will start within the next week. These programs are designed to provide additional geological information to prioritize target areas and plan follow-up evaluations, including drilling. Initial exploration on the project by a previous joint venture partner was focused on the southern area of the concession, with later construction of an access road to the San Rafael Zone. Road sampling through the San Rafael Zone identified two continuous mineralized areas measuring 34.8 meters and 27 meters in length with average silver grades of 192 g/t and 91.8 g/t, respectively. These favorable results support the bulk minable potential of this priority target area. The Company's land position also covers several historical underground mines. These mainly occur over the eastern portion of the concession and include manto styleskarns that carry both base and precious metal mineralization. On one such occurrence, called Dulces Nombres, 35 underground 1.5 to 3 meter wide chip samples averaged 0.71g/t gold, 263 g/t silver and 0.35% copper. At the La Descubriadora target, 19 chip samples of similar length, averaged 0.40 g/t gold and 83.7 g/t silver. These discoveries, combined with the priority San Rafael Zone target, provide significant upside exploration potential at Sierra Rosario. Northair is a mineral exploration company engaged in the acquisition and development of gold and silver properties in Mexico. The Company has successfully staked and acquired a number of early stage gold and silver projects that offer opportunities for significant discoveries. Northair is currently conducting an aggressive core drill program at its La Cigarra silver project in the state of Chihuahua as well as the initial exploration program at Sierra Rosario. A third silver project, El Reventon, is available for joint venture.